25 million businesses are embracing Instagram as a new way to connect with consumers. 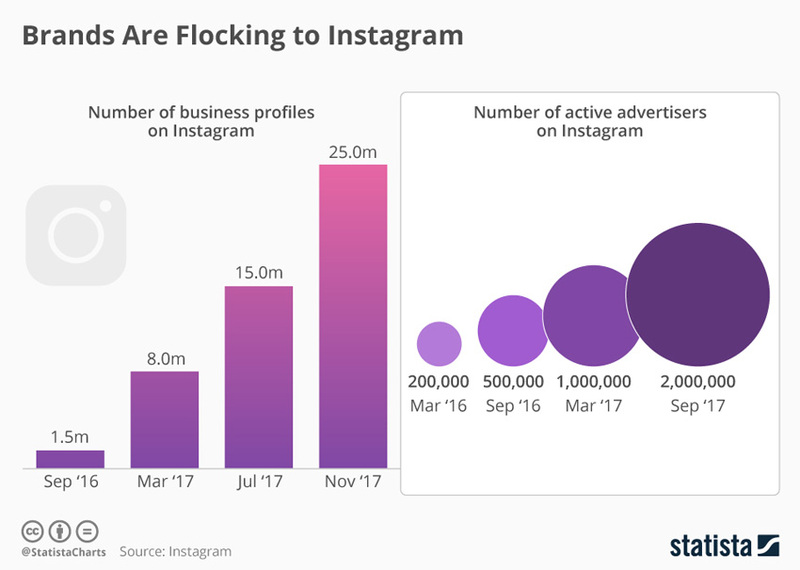 According to a recent report from Statista, Instagram launched its business profiles and tools back in June 2016, and since then 80% of its users follow at least one business. But that's not all, 200 million users visited a business profile every day, as of November 2017.